Proceeds from the sale of these cards will go towards the cost of restoring the West end of the church: this important part of the ongoing restoration will include cleaning and repairs of all the stonework, replacement of a few glass lights in the Rose Window, and repairs to the rest of the stonework of the facade. Sir Edward Elgar, who is buried in the churchyard here, would have played the early Nicholson organ at the time when he and his family lived in the Malvern area. His grave is behind the church, overlooking the beautiful countryside across the Severn Vale. 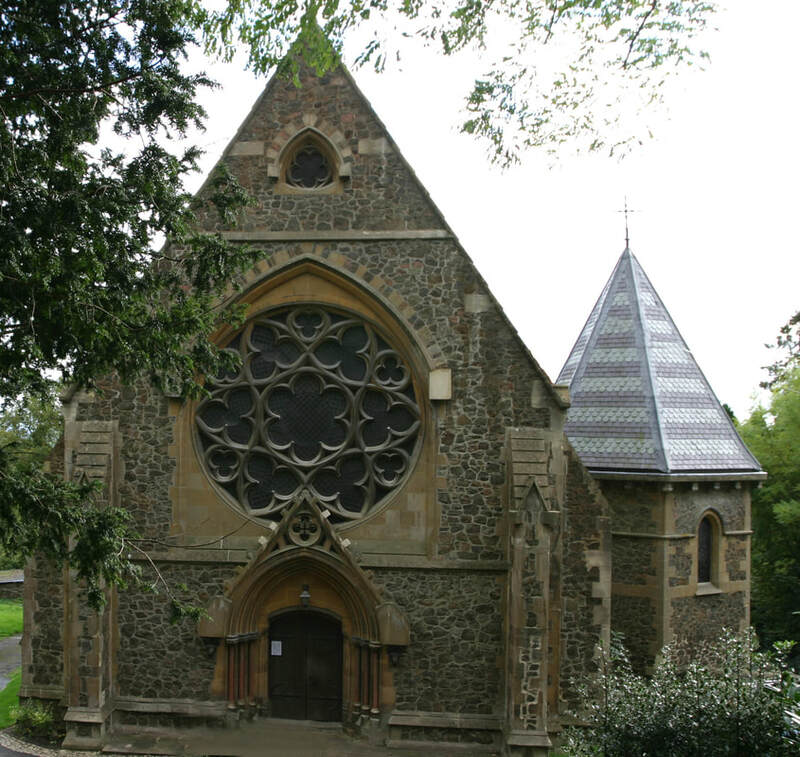 St Wulstan's RC Church in Little Malvern was built in 1862. Designed by Benjamin Bucknall, it became a Grade II listed building in 1987. St Wulstan's Lady Chapel, depicting The Nativity. This, and the windows beside it, were made by Hardman Studios between 1882 and 1892.